(2) Mentor Library Manager licenses needed for Xpedition VX. Pin rename & renumber wow!! One-click rotate/mirror footprint, very useful for rapid LGA/BGA design wow!! If you consider tolerance settings, units, line-widths, pad shapes, rotations, and many dozens of other settings (all configurable with the PCB Library Expert), you can create over 1,800 variations of ONE SINGLE library! We empower you to quickly build high-quality standard libraries to meet your specific needs. 1. IPC A: Maximum (Most) Land Protrusion – For low-density product applications, the ‘maximum’ land pattern condition has been developed to accommodate wave or flow solder of leadless chip devices and leaded gull wing devices. The geometry furnished for these devices, as well as inward and “J” – formed lead contact device families, may provide a wider process window for reflow solder processes as well. 2. IPC B: Median (Nominal) Land Protrusion – Products with a moderate level of component density may consider adapting the ‘median’ land pattern geometry. The median land patterns furnished for all device families will provide a robust solder attachment condition for reflow solder processes and should provide a condition suitable for wave or reflow soldering of leadless chip and leaded Gull Wing type devices. 3. IPC C: Minimum (Least) Land Protrusion – High component density typical of portable and hand-held product applications may consider the ‘minimum’ land pattern geometry variation. Selection of the minimum land pattern geometry may not be suitable for all product use categories. The use of classes of performance 1, 2, and 3 is combined with that of component density levels A, B, and C in explaining the condition of an electronic assembly. As an example, combining the description as Levels 1A or 3B or 2C, would indicate the different combinations of performance and component density to aid in understanding the environment and the manufacturing requirements of a particular assembly. The Library Expert is fully compliant with the IPC-7351C unreleased draft and you get the default configuration file for the “B” revision as well! Why is this important? Because it ensures that everybody – regardless of experience or language – can build high-quality parts the same exact way! If you are still on IPC-7351 “B”, no worries – you get the default configuration file for the “B” revision as well! 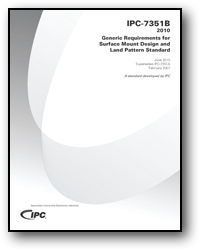 Get the PDF or printed copy of the IPC standard! If you want to reference the IPC-7351B standard to see how the three tiers are calculated, it is available from IPC in printed and electronic (PDF) format. Besides being an IPC Member, we have also been proactively involved in IPC standards development for many years. 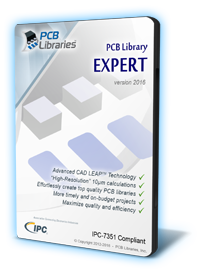 Download and install the Evaluation License for the PCB Library Expert to see for yourself how it can benefit you! Feel free to contact us or any of our world-wide distributors with questions or to request no-obligation demos! This perpetual license entitles you to install and run the software on one local computer. This solution is ideal for the PCB design contractor or companies with one PCB designer. The Single User is licensed on USB key, and can be easily moved to any computer as needed. Contracting and/or always changing computers? No problem, we make it a snap!! The Network License is perpetual and available for all the users you need! It is ideal where library standardization is desired, regardless the CAD formats used. Professionals or novices can now easily create libraries according to company specification and customer requirements. The Network License is based on a network-enabled USB key that may be placed on a server or even a regular/user’s computer. Once configured, when a user on the network opens the Library Expert, a license is automatically checked out from the key. When the Library Expert is closed, the license is made available for others to check out. The HASP “SL” Licenses (Single and Network) are not perpetual and expire at the end of each calendar year, at which time they cease to function unless they either get Refreshed or Replaced. There will be no cost to REFRESH nor REPLACE either SL license if in conjunction with an upgrade purchase. 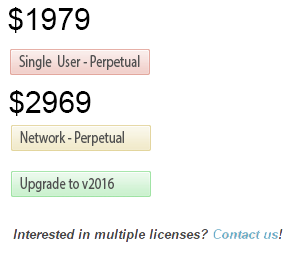 If no upgrade is purchased and the license needs to be refreshed for a Library Expert version older than what is currently available at that time (for example refreshing a 2016 license for another 12 months in 2017 without upgrading to version 2017), the 12-month REFRESH will be subject to a non-refundable processing fee of $100. THERE IS NO GUARANTEE that older versions of the Library Expert will function as intended – or at all – with newer operating systems, patches, .NET Framework updates, etc. If the license needs to be installed on a new computer or a new activation is required for whatever reason, a REPLACEMENT license will be required, and will be subject to a non-refundable processing fee of $125; customer and PCBL may need to take steps to terminate all previously issued license(s)/activation(s) that are being replaced. A limit of 3 license replacements are allowed for each VERSION of the Library Expert for which a license is purchased, after which the licenses must be repurchased. NOTE: All costs associated with REFRESH or REPLACEMENT of SL Licenses are subject to reasonable change year to year. User Accounts are needed to login and download the latest release of the Library Expert, as well as access POD. 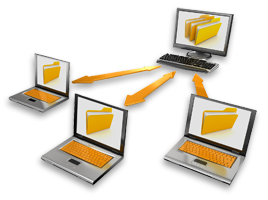 User Accounts are limited to one (1) per Single User License, and three (3) for Network Licenses. Library Expert Professional user accounts associated with currently released version have free access (25 parts/day) to the POD database. Microsoft Windows based computer, running Windows 10, 8, 7, or Vista*, the Microsoft .NET Framework 4.0 (downloadable from Microsoft), 40MB of hard drive space, a USB port, and display resolution of 1024 x 768. *Although quite a few Library Expert users have Windows XP, it is no longer supported by Microsoft and our ability to support XP is limited.